There was this beautiful summery, silk, blue to orange ombre shirt I saw at the mall. Instead of paying $70 for it, I picked up a $12 cotton dress from H&M, and a couple packets of Rit dye from the fabric store for $2 each. For this DIY project I basically followed Rit’s ombré instructions that you can read on their website. Make sure you use a garment made of cotton or other natural fibers. Synthetics, like polyester, won’t hold the dye! Prepare the dye as indicated on the box. I dipped the top half in orange, and the bottom in blue. 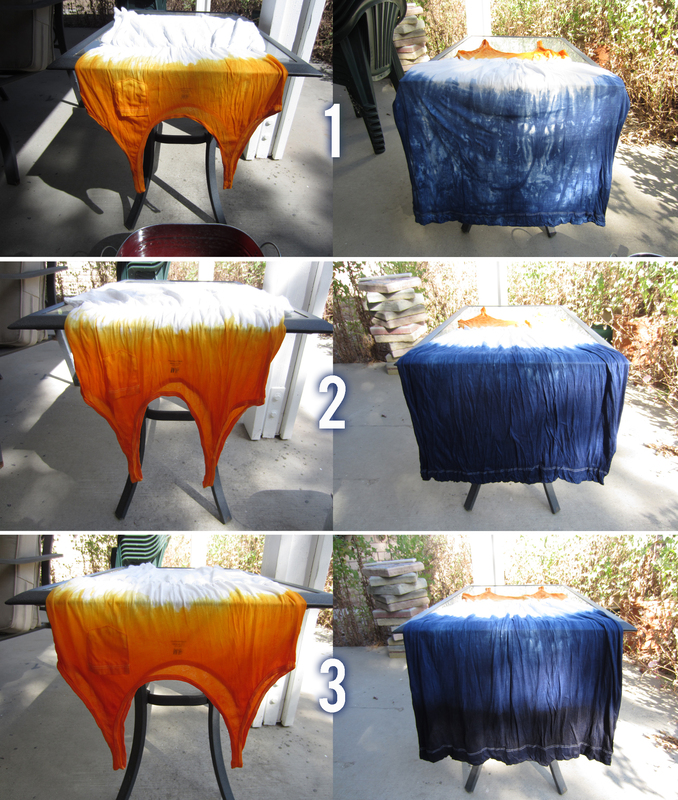 I did three dips each, soaking less and less fabric with each dip. 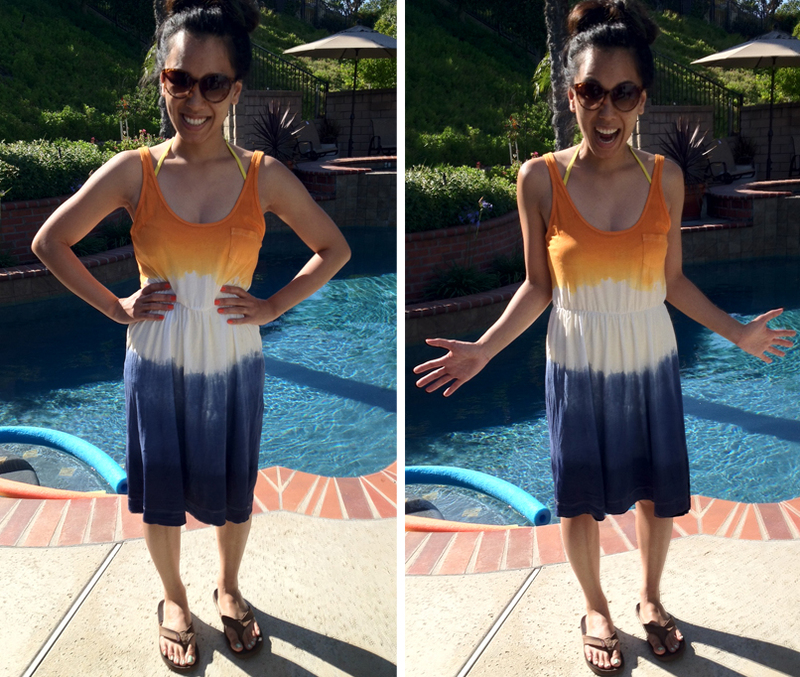 Who has two thumbs and a new swimsuit cover-up? This girl! I love it! Will so have to try this project out… Very cool! Super-Duper cute!!!!! I love the blue and orange! 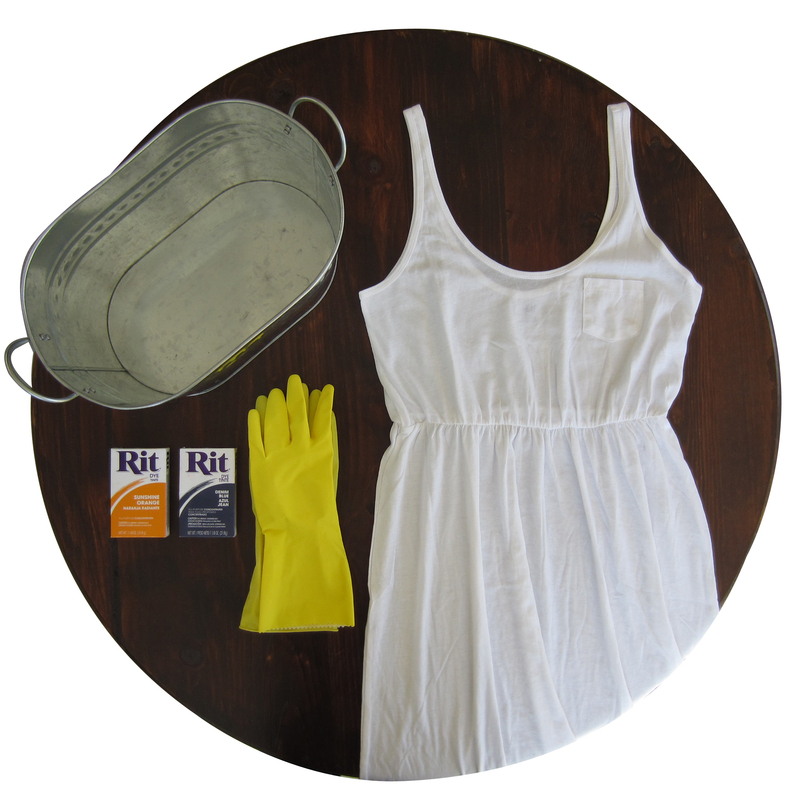 Brilliant idea from Let’s Get Thrifty on using Rit Dye products to Dip Dye a Dress!